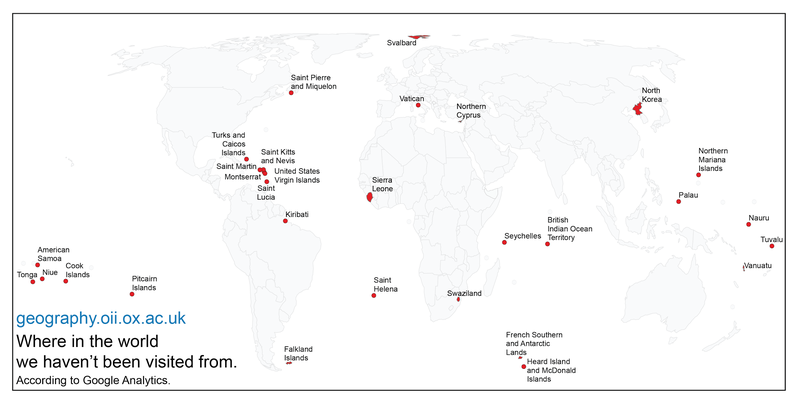 We made a quick map of the countries and territories that haven’t visited our Information Geographies site. In sum, we’re really delighted that our analysis, stories, and maps have had such a truly global reach. And this is something that we hope to expand on as we turn some of the work at geography.oii.ox.ac.uk into a printed atlas. All we have to do now is figure out how to tune the Pope into some of our research.